Mafia III / 3 Deluxe Edition - PlayStation 4 PS4 ~18+ Brand New & Sealed!! 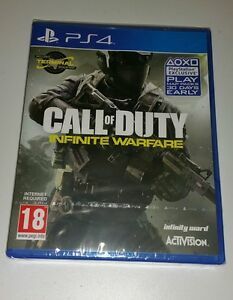 The Call of Duty: Infinite Warfare video game, released in November 2016, provides gamers with hours of fun and exciting challenges. Based on its content, this Activision game belongs to the action/adventure/shooter genre. It is compatible with the Sony PlayStation 4 console. In addition, this game comes with an ESRB rating of M  (Mature). 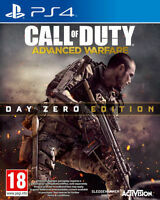 Part of the popular Call of Duty franchise, this edition features three game modes including an innovative multi-player option. payments for any items must be paid for within 7 working days. 7 days returns available, must be returned as sent. Le paiement immédiat de 19,90 GBP est obligatoire.